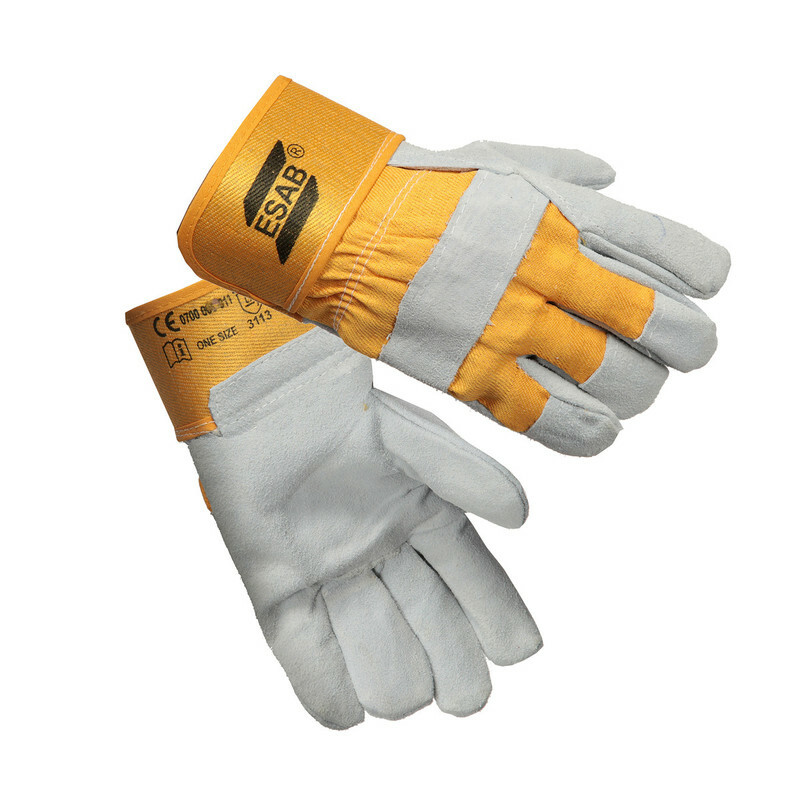 WELDING GLOVES ESAB Heavy Duty Worker. A durable, hardwearing rigger style work glove made from high quality cow side split leather, featuring wing thumb, fully welted seams, vein patch, 6cm rubberised cotton cuff with finger tip protection and knuckle strap. Fully jersey lined for added comfort. CE approved to EN388 Cat 2.